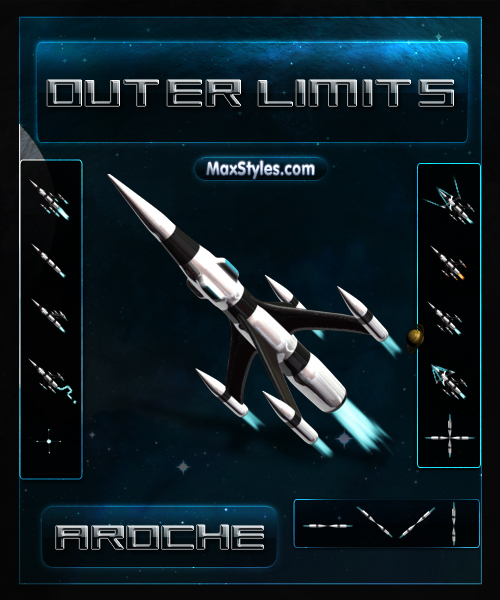 A cursor to match the new Outer Limits theme by John and the Maxsyles team. Check for more cool matching stuff at Link there-s the wb, some widgets, od bgs and some other cool stuff. Oh and you can find vsyler's walls in his gallery here a WC. Really had fun making this one, hope you all like it as well. I said it over there and I'll say it here. WICKED! Where? I was over there and I didn't see you? Looks just as awesome here as it did when I got it over there this morning. Wow, didnt think you could outdo yourself so consistently Beautiful work m8! You truly have outdone yourself this time! Fantastic! Downloaded, and crashed my CursorFX panel. Will not open now.